Abid Wazir Khan Chairman FAIDA (Foundation for Awareness & Information Development for All) & (Chief Executive- KIPS), a man with futuristic vision, graduated as a civil engineer from UET Lahore, in year 1990. He founded an institution, named ‘Knowledge Inn Preparatory School’ (KIPS), for a humble cause of imparting quality education, in year 1992. KIPS has now become a name of Trust & Excellence among the students in particular & the academic circles, at large. As an organization, it has a diversified portfolio, providing a complete career path to the students’ right from the Preschool to professional education. With the vision of ‘Nation Development through Qualitative Education’, KIPS has expanded to 17 major cities of Pakistan. The educational hallmarks by KIPS include Schools, Colleges, Evening Coaching Classes, Entry Test Preparation, Competitive Exam Preparation, Foreign Test Preparation and Publications. Mr Abid Wazir has devoted his life for developing, a student centric educational system, to equip the nation with future leaders; trained to meet the rapidly changing & challenging needs of technology, economy & global competition. To achieve these objectives, a holistic development plan was devised, backed by strong character, commitment, competence & confidence. It is further ensured through team building, motivation & periodic trainings. Having achieved this all, Mr. Abid Wazir Khan was self motivated for ‘Corporate Social Responsibility’. 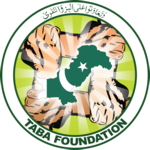 Thus, an NGO, ‘Foundation for Awareness and Information Development for All’ (FAIDA) was established in year 2004. FAIDA is serving in the fields of career counseling, energy conservation, social welfare projects like funding some government schools, scholarships to deserving students, free dispensaries in rural areas, rehabilitation of earthquake victims, blood donation camps & micro financing etc. His services have been acknowledged and appreciated at various forums which include ‘Certificate of Merit’ by Chief Minister and ‘Appreciation Awards’ by Governor Punjab.